For business owners, holiday periods can either mean a well-earned break or a busy time of heightened activity, especially for those involved in retail and hospitality. Most business owners look forward to these holiday periods – but criminals do too. It’s an unfortunate reality that burglaries and other crimes escalate during holiday breaks and businesses can be particularly vulnerable. As a business owner, you want to make sure your operation is safe and secure and that employees and customers are protected from holiday-related chaos and unlawful activity. Keeping your business safe and secure over the holidays isn’t only about thwarting thieves. Let’s say you have a cold storage facility on your premises which contains valuable (but perishable) stock. If there’s a power failure over the break while your business is unmanned, what would be the cost of losing all that stock? Don’t forget the cost of late or cancelled orders, replacements at short notice, productivity losses etc. Your risks are unique to your business, so it’s worthwhile completing a full assessment to identify areas of potential exposure. Knowing what you are dealing with and putting in proactive measures to mitigate your exposure could save you a significant amount of money. If you’re in retail, the chances are that holiday periods will be very busy and things may not be as organised or predictable as they usually are. You may be carrying loads of extra stock, getting more deliveries than usual and employing large numbers of casual employees. All of these things can present opportunities for people to steal merchandise or find ways to circumvent regular protocols (eg not sign for goods received, under-invoice, get hold of security alarm codes etc). You may need to hire extra staff for the busy periods but it’s important to follow your trusted employment procedures otherwise you could be at risk of fraud or error. Casual staff need to be vetted carefully to make sure they are trustworthy and reliable and that they are sufficiently competent not to make costly mistakes. In a busy retail or wholesale environment, busy periods can put pressure on paperwork. It’s important to ensure that all employees follow established guidelines and policies when it comes to invoicing, returns, orders, deliveries etc so as to ensure that you business doesn’t lose money as a result of incomplete or incorrect paperwork. If your business is going to shut down over the holiday period, you need to take extra precautions to protect the property and your assets. Turn off or unplug any unnecessary electronics, make sure the fire alarm is fully operational, ensure the property is well lit (consider timers on exterior and interior lights), tell your local police that your business will be closed over certain dates and ensure the premises are securely locked. It’s also a good idea to move all valuables out of sight and make sure important company information/credit cards etc are stored away securely. A comprehensive security system is your best defence at any time, not just over the holidays. However, when the premises are unmanned or you need extra eyes watching over your busy operation, that’s when an alarm and surveillance system really comes into its own. Don’t wait until it’s too late. A good security system will minimise your chances of falling victim to crime – plus it may have additional features (like a carbon monoxide alert) which will add an extra layer of protection. 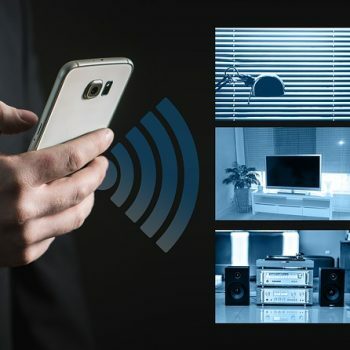 Before you close your doors for the holiday period, make sure your alarm system has been tested by security professionals to be in perfect working order and consider upgrading to take advantage of modern wireless technology which enables remote access, real-time viewing of CCTV footage on digital devices, mobile alerts etc. If you have any security concerns about your business over the holiday periods or want some advice on how best to protect your premises, call the experts in Perth security alarms, Crown Security. They have decades of experience in both commercial and domestic security solutions and are more than willing to have an obligation-free chat about customising a solution to meet your company’s unique security needs. Call us today on 08 9400 6000 to learn more about our extensive range of high quality, affordable commercial security systems in Perth.